Anytime you want to fly somewhere, you can expect to pay a couple hundred dollars for the plane tickets. Sure, you can save money by traveling at less popular times or using airline or credit card rewards to cover your airfare, but generally, flying isn’t cheap. Even some domestic airfares exceed $1,000 per round-trip ticket, and that’s a coach seat. Once you bump up classes or choose an international destination, your plane ticket is going to get much more expensive. For some fortunate individuals, that’s not an issue. You can pay thousands — even tens of thousands — of dollars for an international, first-class flight, depending on your travel preferences. With the help of Frosch travel agent Liz Manning in Scottsdale, Ariz., we’ve compiled some of the priciest plane tickets available. This isn’t an exhaustive list. Prices depend on a bunch of things, like the time of year, popularity of your destination, time of booking, seat availability and class preference. There are some strategies for finding the best airfare deals, but you also have to contend with the whims of the airline. Why are flights priced exactly the way they are? “Your guess is as good as mine,” Manning said. 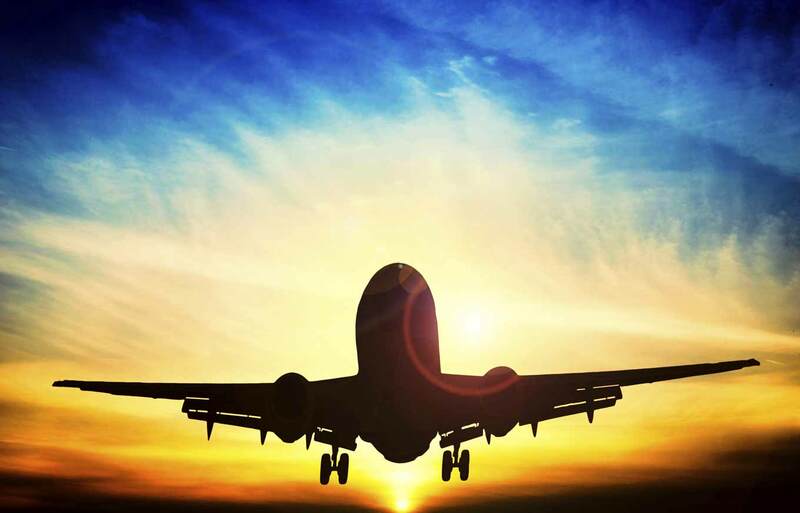 The following 10 flights are round-trip, full-fare, first-class flights to international destinations, but in some cases, first-class seats were unavailable for the entire trip. The prices were valid during a search this month for departures through December, but as anyone who has ever searched for a plane ticket knows, prices change often. Full-fare tickets are fully refundable and incredibly pricey. Few people book them, because paying thousands of dollars extra for a refundable flight doesn’t make a lot of sense, Manning said. Unless you absolutely need to be on a flight and there are no options besides a full-fare, first-class ticket (or if you need a refundable ticket), you probably would never purchase such a ticket. The difference is incredible. For one of the flights on this list, the difference between a full-fare ticket and the next-lowest category of first-class ticket was $20,000. Of course, flying first-class is a luxury and you shouldn’t max out your credit cards to make it happen, since that can have long-term consequences for your credit. If you want to see how your credit cards are affecting your credit, you can check two of your credit scores for free every month on Credit.com. But since it’s fun to dream about first-class luxury, here are the priciest flights we found. This flight takes you from Kansas City to San Francisco, from which you board a 15-hour flight to Sydney. After a layover in Sydney, you take a three-hour flight to Wellington in the morning. For the Sydney to Wellington leg (and on the return), you’re sitting in coach on an Air New Zealand flight. The rest of the planes are operated by United. The trip aboard Japan Airlines takes you from Miami to Chicago O’Hare, where you stay the night before boarding a morning flight to Tokyo. That part lasts 13 hours and 25 minutes. This is the only nonstop flight on the list, and Manning couldn’t think of a reason it was exceptionally expensive. “That one surprised me,” she said. It’s a common route. The airline might have something to do with it: Cathay Pacific Airways is one of the more luxurious airlines out there, she said. For a 16-hour flight that costs nearly $28,000, it had better be pretty nice. Based on the last flight, the jump from Hong Kong to Singapore is practically free. Passengers take the same 16-hour flight from JFK to Hong Kong, where they stay the night, before flying about 4 hours to Singapore. However, this flight isn’t even $70 more than JFK to Hong Kong is on its own. It takes a bit of maneuvering to get from Pennsylvania to a small island in the middle of the Indian Ocean. Mahé, the largest island of the Seychelles, is located about 1,100 miles east of Kenya. This route takes you from Pittsburgh, to New York’s JFK, to Abu Dhabi to Mahé Island. It’s 1 1/2 hours to New York, nearly 13 hours to Abu Dhabi and 4 1/2 hours to the Seychelles. There are two layovers, but hey, it seems Etihad Airways offers some seriously posh airport lounges, in addition to its cushy in-flight accommodations for first-class passengers. Hobart is more than 10,000 miles away from New York, as the crow flies. If only it were that simple by plane. You first have to fly to LAX, then to Sydney, before making your way to the island state of Tasmania, where Hobart is located. On this particular trip, you’d take American Airlines and Qantas, but on the way back, you’d fly Qantas to Melbourne, Australia, where you’d hop on an American Airlines jet to Los Angeles, from which you’d take a United flight to Newark, N.J. You’re also in business class on the Qantas flights. Sheesh. Tabuk’s airport is a regional one, requiring its international visitors to take a roundabout route in. The trip Manning put together involves flying from D.C. to Dubai, then to Dammam, Saudi Arabia, before arriving in Tabuk. The way back goes from Tabuk to Riyadh, Saudi Arabia, then to Dubai, where you fly 14 1/2 hours to Washington. The planes shuttling you around the Arabian peninsula only have business class seats available (on Saudi Arabian Airlines), but the flights between Dubai and Washington are first-class seats on Emirates, which have shower spas on board for first-class passengers, so there’s that to look forward to. American Airlines and U.S. Airways charge you nearly $40,000 to fly first-class from Newark to Beijing (by way of O’Hare). Why, yes, you can reserve your seat on a flight to space. It’ll cost you a quarter of a million, but if you’re cool with that, you can join the club of 600 future astronauts ready to board Virgin Galactic.